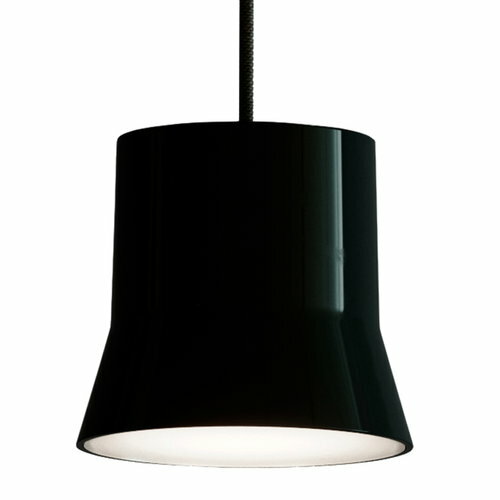 Giò by Artemide is a small and friendly pendant light with references to both retro and modern design. 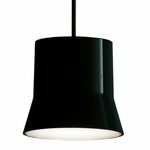 Designed by Patrick Norguet, the glossy aluminium shade of Giò hangs on a textile cable, and its distance from the ceiling can be adjusted between 50 and 150 cm. Thanks to its compact size and minimalist silhouette, Giò is excellent in clusters of several pendants, and its functionalist design serves homes and public spaces alike.